Upbeat Running — a Revolution in the Making? Sixty years ago, track was a major sport – college meets drew big crowds, and track athletes were household names – everyone knew Jim Ryun, Evelyn Ashford, and Perry O’Brien. Tony blames track’s decline, in part, on the way meets are organized. They’re endless, they’re slow, and they’re deadly dull. I’ve seen parents travel three hours to attend a five-hour meet just to watch their kid run a 24-second race. Track has become an insider’s game, a cult sport. 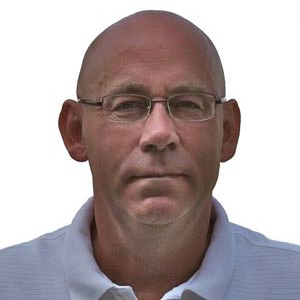 Coach Tony Holler, Plainfield North High School, Illinois. Coach Holler has found ways to make track fun for athletes and spectators. At Plainfield North High, where Tony coaches, the outdoor track is crumbling from the hard Illinois winters. But Tony has a formula that works splendidly for the school’s annual indoor meet. Tony makes the meet personal – he greets every coach and athlete. And he makes sure the sound system isn’t co-opted by zombies who’d love to make people’s ears bleed. Tony believes the selection of music is critical, so he takes charge of the playlist. As a high school teacher (honors chemistry), he’s aware of adolescent tastes, but as a guy in his fifties he isn’t above sneaking in a track by Dylan or John Prine. Aside from great food and music, the main attractions are the Gauntlet Mile, the Dunkin’ Donut 55 (a sprint for throwers, with donuts for awards), and the final event, the Rock the 4×400. The 400 relay is run to the same unvarying three songs year after year: “Seven Nation Army” by the White Stripes, Eminem’s “Lose Yourself” (clean version), and “Zombie Nation” by Kernkraft 400. Tony introduced the Gauntlet Mile after he saw a photo on Twitter of milers running through a narrow chute of cheering spectators. As a four-time finisher at the Chicago Marathon, Tony knew how a cheering crowd can lift a runner. Running through crowds is a mystically energizing thing. If running through crowds energizes slow runners, what would it do for sprinters? In 2011, I began experimenting with running timed 40s and 10-meter flys through a “gauntlet” of cheering athletes. The results were amazing. Inspired by their teammates, an astounding number of Tony’s runners set PRs. The average 40 time improved from 5.21 to 5.07 … a 2.6% improvement. Sixty-five percent of the runners ran a PR. The average 10-meter fly time (automated) improved from 1.27 to 1.23 … a 3.3% improvement. Sixty-eight percent of the runners ran a PR. Overall, 96% of the runners ran faster than their average time. See the results for yourself … spreadsheet. The answer is simple. We are improved by the power of love, happiness, and encouragement. I’m reminded of Biff Poggi, who coaches an elite New Jersey high school football program. 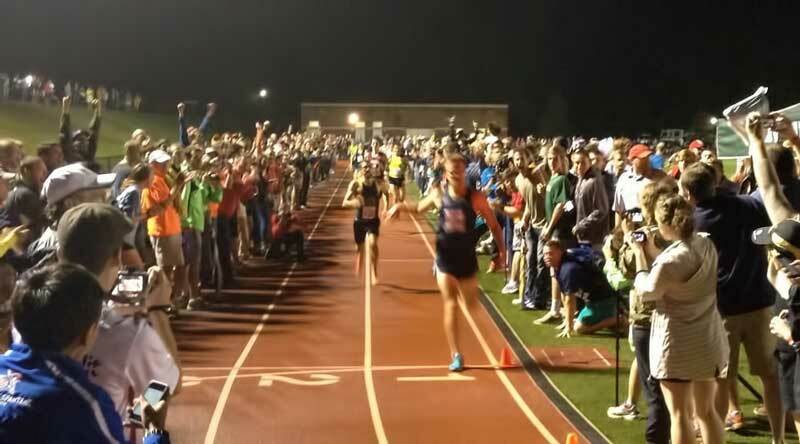 The Gauntlet Mile was a huge success. 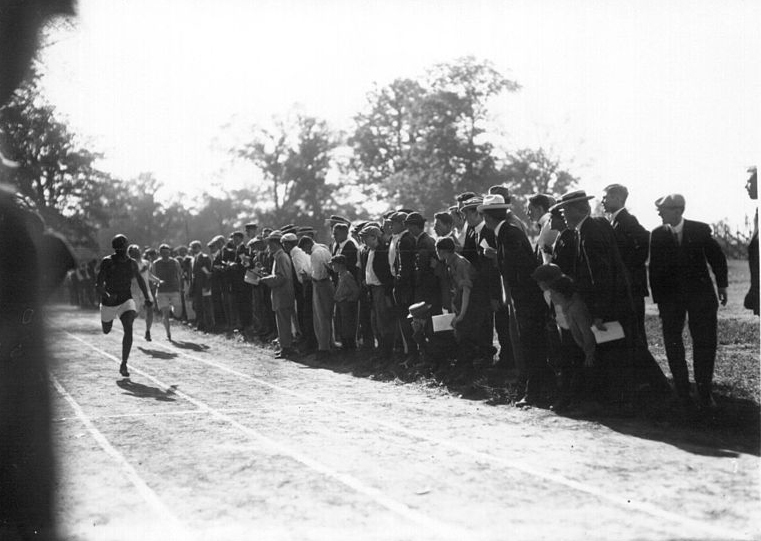 Tony describes the first-ever running: “Athletes and spectators lined the entire track…. The energy in the field house will never be forgotten by anyone in attendance…. Let’s just say, our final three events, the Gauntlet Mile, Dunkin Donut 55, and Rock the 4×4, sent everyone home smiling. The photo that inspired Tony to create the Gauntlet Mile. Shawn Achor is a leading figure in the positive psychology movement. 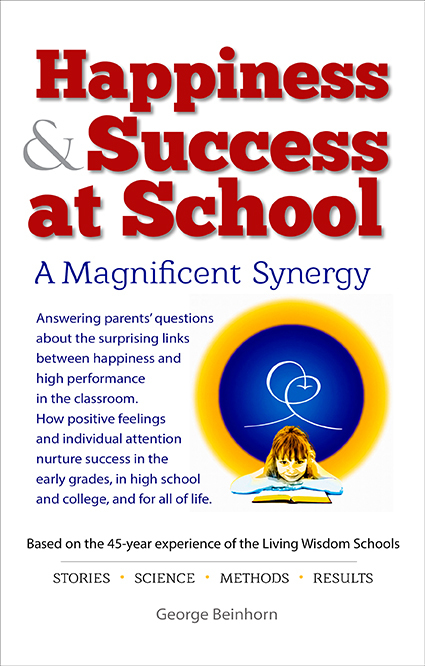 His research, which he summarizes in The Happiness Advantage, shows that happiness is a powerful aid for success in academia and business. 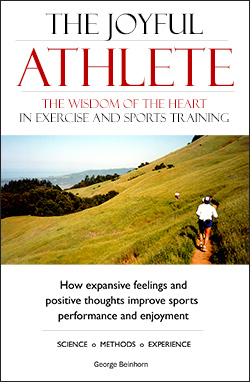 Achor is convinced that happiness is as effective in exercise as it is in business and school. Our brains are actually designed over the long run to function better at positive, rather than negative, neutral or stressed…. If you want a quick experiment to prove this, try doing bicep curls with weights that are heavy for you. Then after a few reps in, try to think about something that stresses you at work. You’ll find your brain gives out 20-30% faster than it would otherwise…. Without happiness, you miss out on all of the happiness advantage: increased energy, improved self-efficacy, higher resilience, improved immune system and greater consistency. He suggests three ways to boost exercise success and enjoyment. Start with happiness. Make happiness a training priority. It’s that important. Change your mindset. Achor suggests we aim to be happy in every circumstance, including when we exercise, and not merely trudge through the program to get the results. And merrily hent the stile-a. You’ll never see an interview with U.S. decathlon gold medalist Ashton Eaton where his head is hanging sadly. Ashton and his wife, Brianna Theissen, 2014 World Championships heptathlon silver medalist, are unfailingly upbeat – they’re programmed for happiness. Research that I cite in The Joyful Athlete shows that when we’re happy, our hearts work more efficiently, so we can exercise harder with less effort. Reward yourself. When you exercise, it’s not a bad idea to cultivate feelings that expand the heart, such as love, kindness, compassion, etc. Try sending kind thoughts, prayers, and blessings to a friend or someone in need. You’ll not only feel great, you’ll get better results. While external rewards are valuable – giving yourself a post-workout ice cream (or pulled pork), they’re nowhere near as powerful. Let’s raise a hoot for Tony Holler, and all the coaches who are discovering the happiness advantage. Their ideas may look unorthodox now, but I’m betting they’ll spread, because there’s a heap of evidence, both practical and scientific, that they can make sports a better experience for athletes and spectators alike.